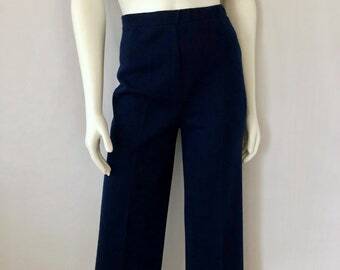 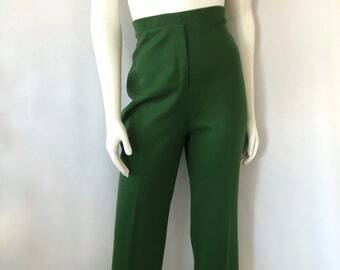 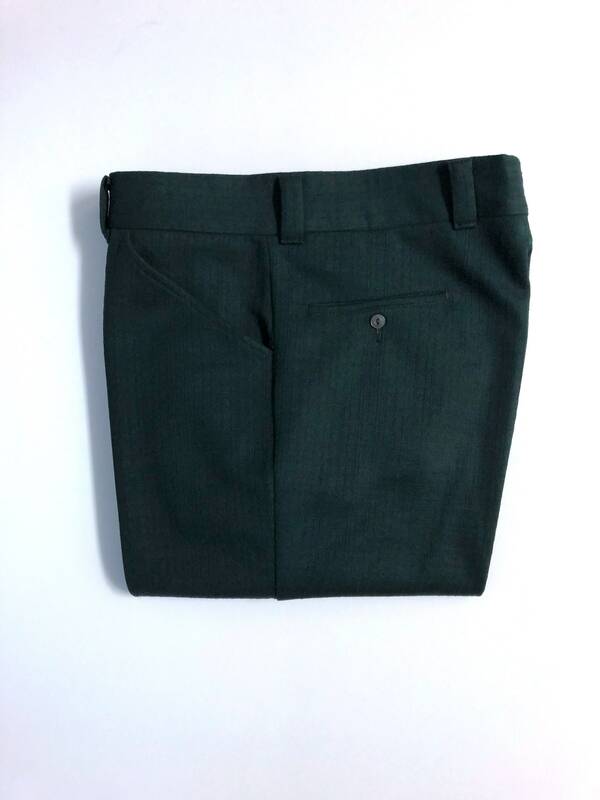 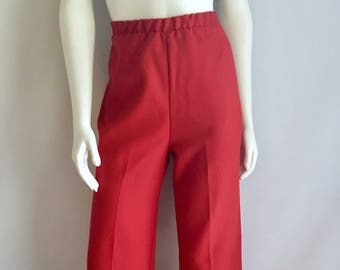 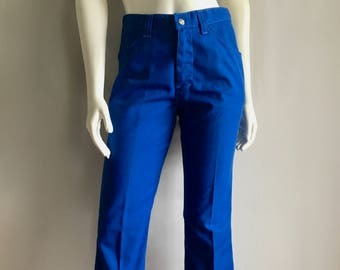 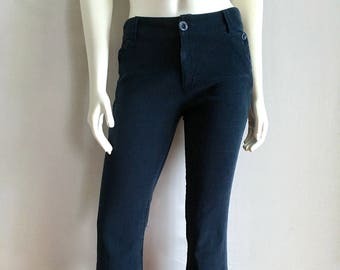 Vintage Men's 70's Dark Green, Polyester, Pants, Slight Flare Leg (W34) These Men's Pants come in a textured, dark green polyester and have a zipper fly, four pockets, and slight flare leg with a pressed seam. 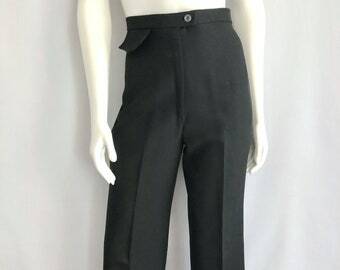 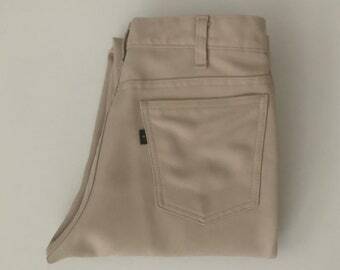 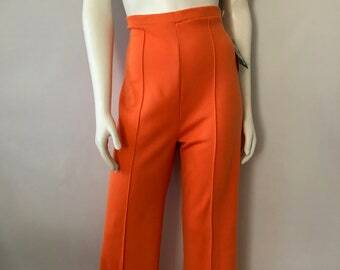 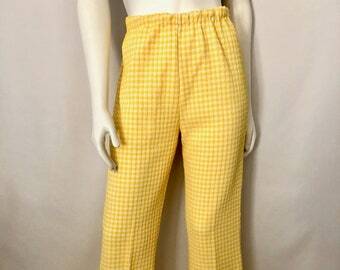 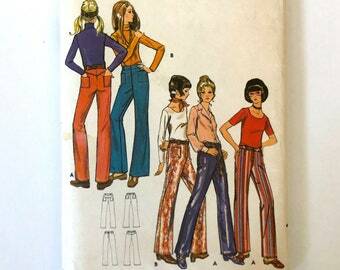 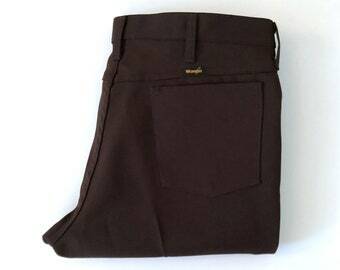 The pants are medium weight and have stretch. 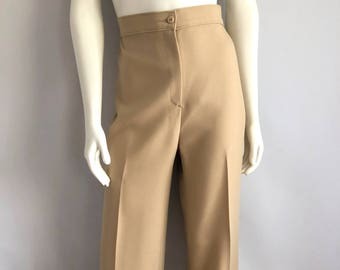 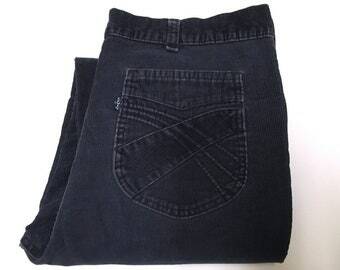 *These pants are in excellent condition. 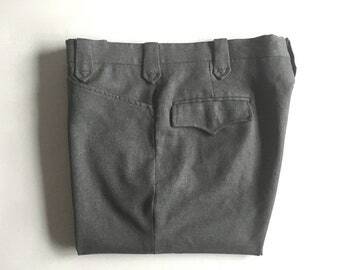 *If shipped within the US, they will go Priority Mail for a quick delivery!